DAVID LE/Staff photo. 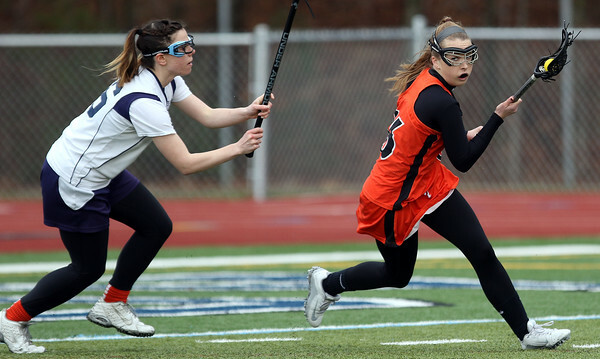 Beverly's Darcy McAuliffe, right, spins towards the middle and past Peabody's Michaela Jacks, left. 4/12/16.